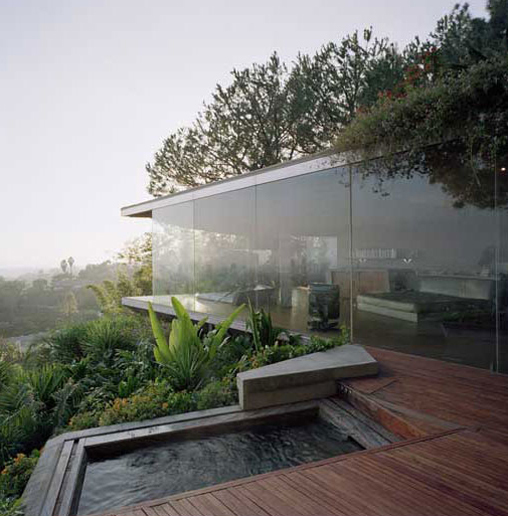 Hollywood Hills Glass Wall House | Shelby White - The blog of artist, visual designer and entrepreneur Shelby White. « Wanken on Instagram: Are you? 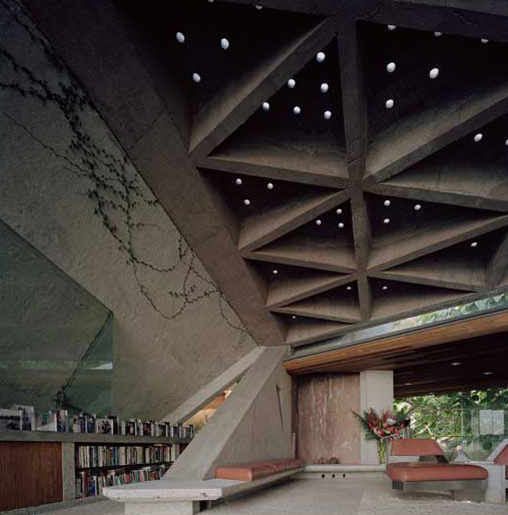 If I could tour the homes built by John Lautner I would in an instant. 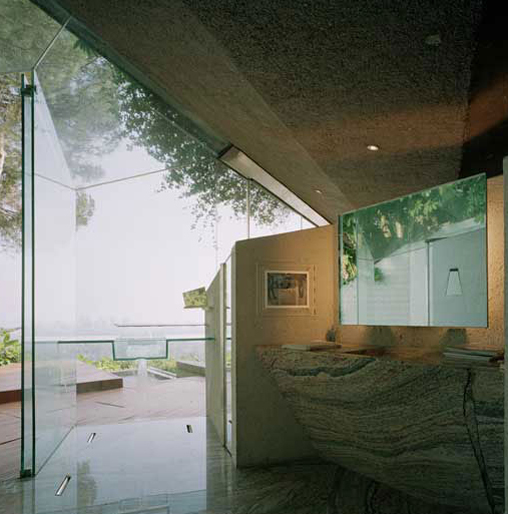 This glass walled home in the Hollywood Hills has been used many times in photoshoots and I believe in movies. 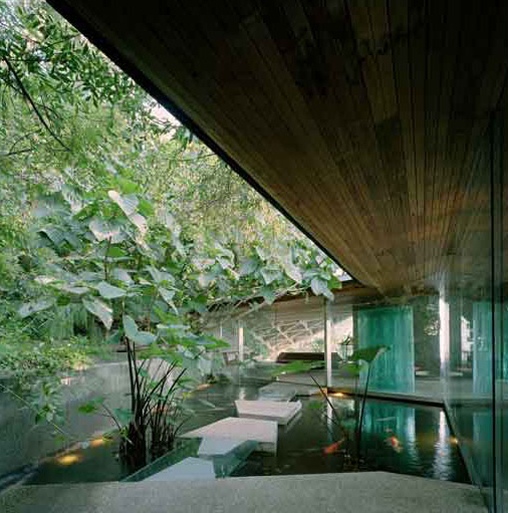 The most intriguing part about it is the minimalist and angular interior design. 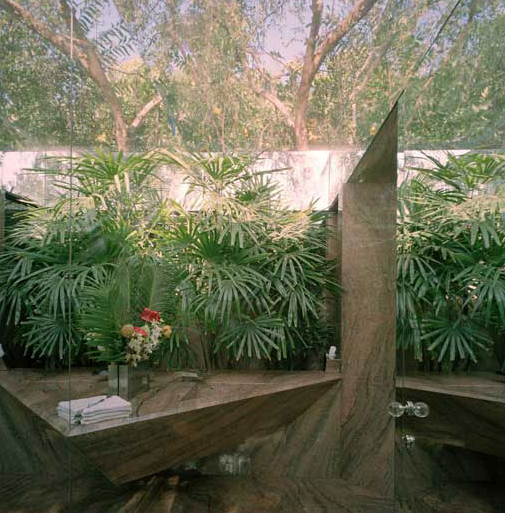 The bathroom sink is particularly interesting because of its interaction with the plants—sort of like having a bathroom in a rainforest. 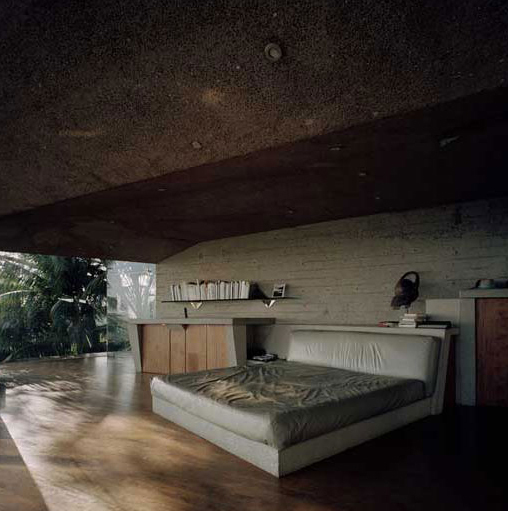 This pad was in the Snoop Dogg “Let’s Get Blown” video, and I’ve seen that diamond-shaped bed with an attractive young woman on it in a photo shoot as well. I love this house. That view is incredible. 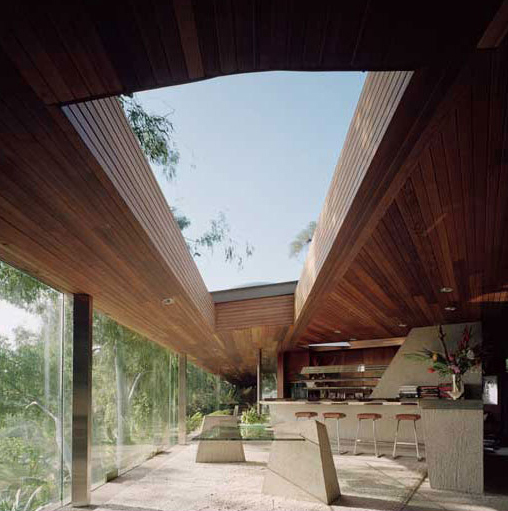 This house reminds me of Jackie Treehorn’s house in The Big Lebowski. Either way it’s beautiful. Tav, I immediately though of Treehorn’s house as well. I just scrubbed through to that scene in The Big Lebowski and it is indeed the same house. His houses have been used in Bond Films, the new Charlie’s Angels (a replica), and the Lethal Weapon series. He was one of the greatest of all times…. for me. amazing…bringing the awesome outside into the inside in a most livalbe and capible way. I love yoru work and mind.